2016 has been a great year. It brought us many challenging and even more rewarding and amazing moments. It turned 365 days into another winning streak we couldn’t be more proud of. After all, that’s a signal all that hard work pays off. 😉 Check out what we’ve been through and what are some of the things which will keep us motivated in the upcoming year. We can’t wait to push even harder – c’mon 2017, let’s see what you have in store! The most important moment of all was definitely moving to the new office. 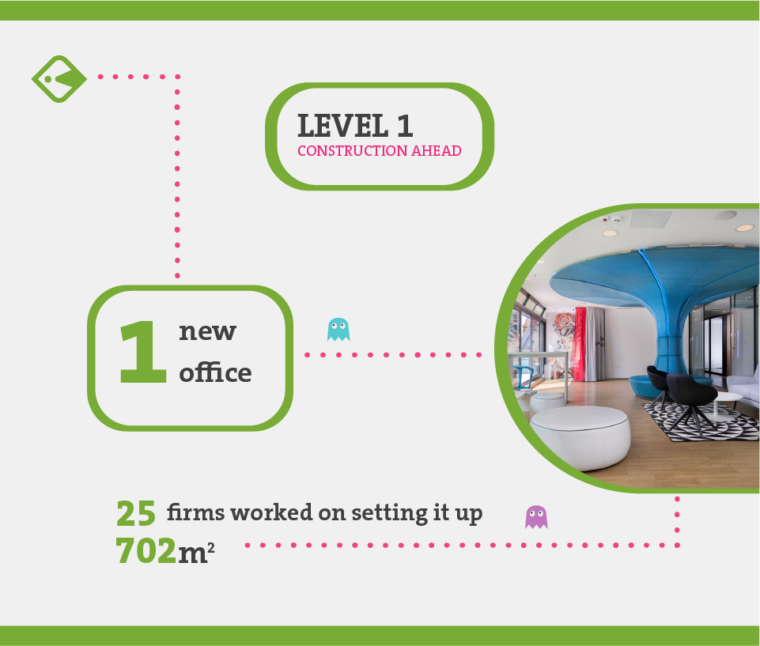 We are now officially taking up 702 square meters in the Osijek centre and we couldn’t be more proud. This was the result of all the hard work we’ve put into building online stores over the years but 2016 itself brought us over 40 currently active projects from over 40 countries (some of them, joining the list for the first time!). 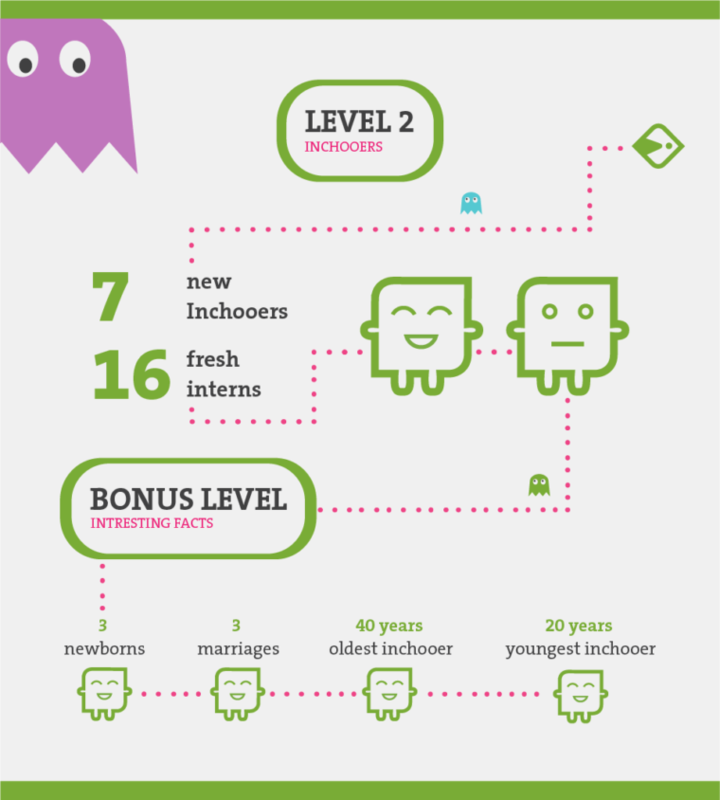 We also got 7 new Inchooers joining the team and 16 fresh interns spicing up our daily activities. Half of the Inchooers went to 10 different international conferences and we organized one ourselves. 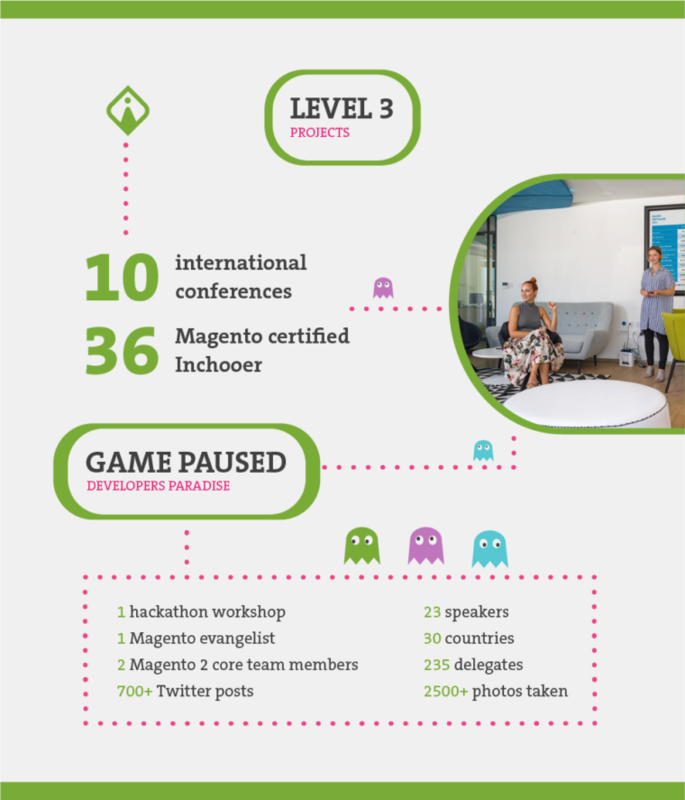 Developers Paradise was a one of a kind event when it comes to the Magento community and it was an honour to organize it (don’t miss Meet Magento Croatia we’ll be hosting this year 😉 ). Developers Paradise accounted for 235 delegates, 30 countries and 23 speakers from all over the world. Those of you who joined us know how active we’ve all been on Twitter (700+ posts) and that we took a whole lot of memorable photos (2500+ in total, almost 500 decent enough to make it on Facebook). We are very proud that the team worked hard on being active on the blog with 113 articles published throughout the year which led to over 3 million page views on this very blog! Thank you all for reading us – you helped us hit yet another milestone! 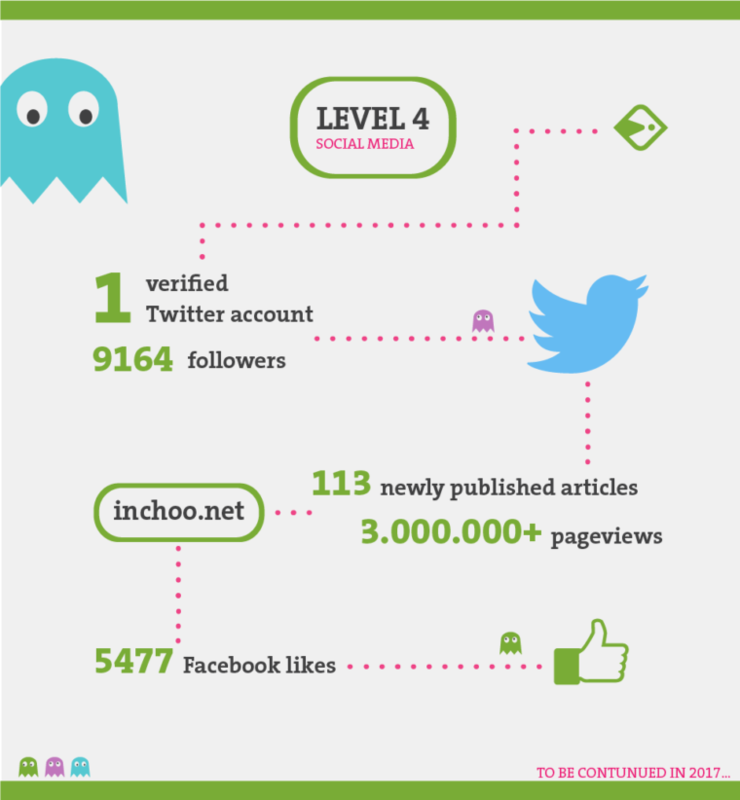 All of that can be translated to social media language: 1 verified Twitter account with over 9000 followers (9164 in the moment when we were creating this infographic but we hope the number will continue to grow) and almost 5500 likes on Facebook. We are also proud we ate over 100 pizzas celebrating various important moments (such as birthdays, anniversaries aaaaaand Fridays) and drank over 19000 cups of coffee solving Magento mysteries. Congrats to all of the Inchoo team which now has 1439 years in total, especially to those 3 that got married in 2016 and those 3 who welcomed their newborn babies to the world. Thank you all for making 2016 a great and wonderful year and pushing us to strive to achieve even more in 2017 We will do our best, we promise! NOTE: You can check out the full infographic here. If you’d like to be part of our 2017 story, feel free to drop us a line. We’d like to make yet another memorable year by helping businesses thrive!